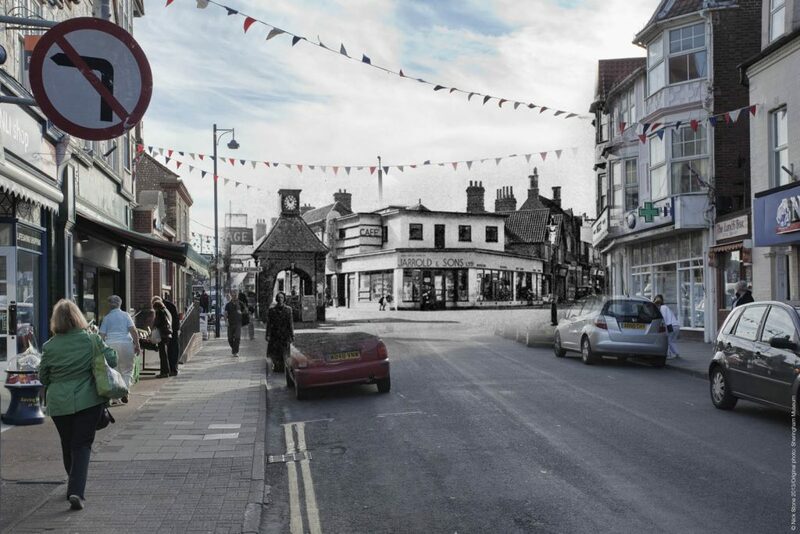 Originally Part of the touring exhibition – Tradition and Innovation: The Story of Market Towns. From the press release: The exhibition will be touring to museums in Sheringham, Diss, Swaffham and Wymondham from November 2013 to July 2015, before making its way to museums across the East of England. The exhibition tells the story of the development of market towns and Britons’ changing shopping habits from the medieval period to the 21st century. 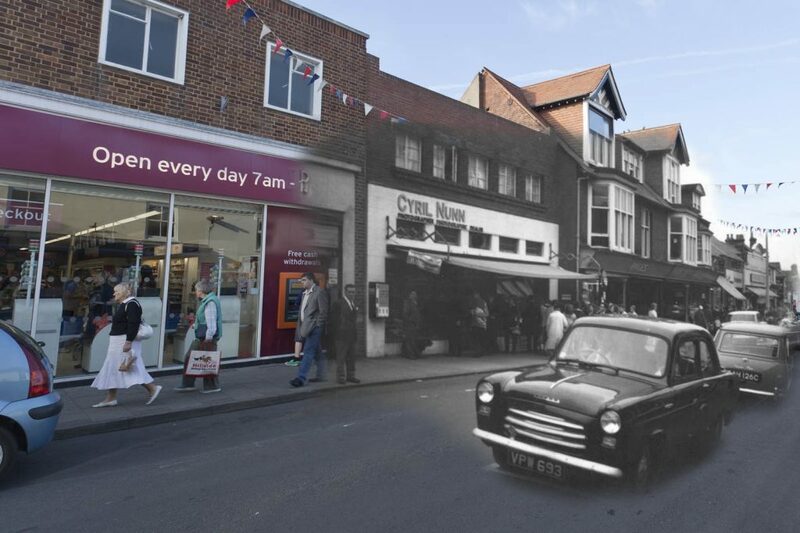 It discusses the issues facing market towns, such as the rise of out-of-town shopping, as well as the ability of market towns to survive and thrive in the face of adversity. The exhibition has been created by Museums Norfolk, and was funded by SHARE Museums East, the organisation that delivers museum development across the East of England. 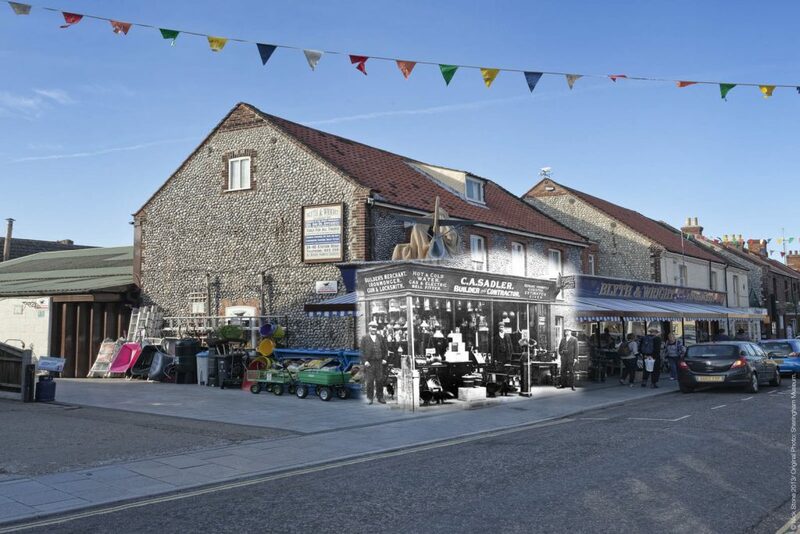 Tradition and Innovation: The Story of Market Towns was displayed Sheringham Museum (November 2013 to December 2015). All composite images © Nick Stone 2014, Not to be reused without explicit permission. Original images copyright respective owners. With thanks to Laura Crossley, Museums Norfolk, and Share Museums East. 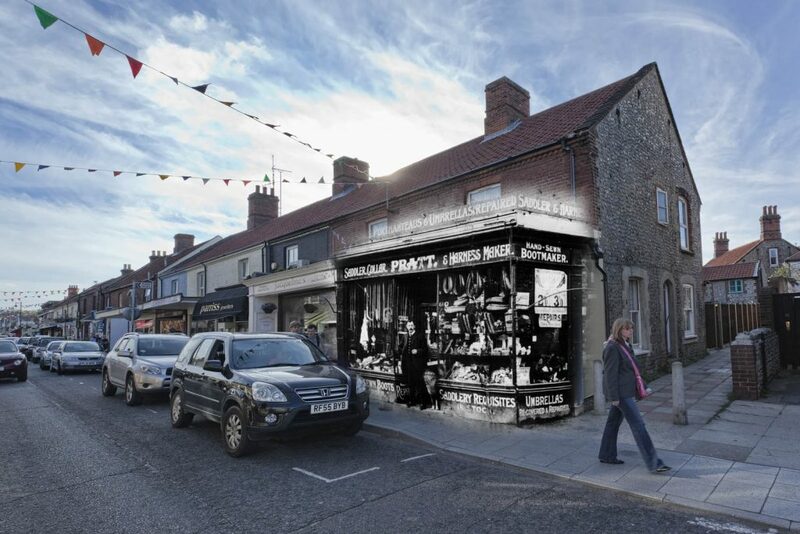 Lushers Hay and Corn Merchant, Sheringham High Street, now the Yesu centre. 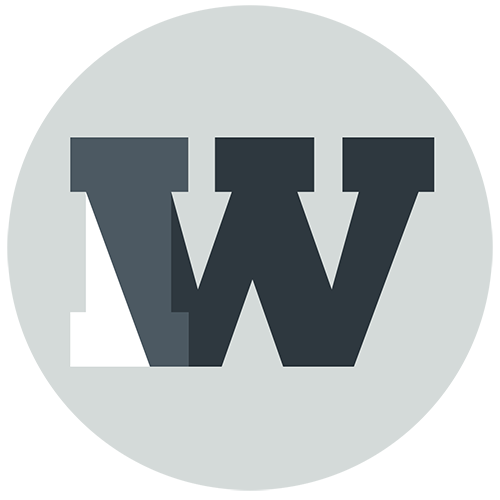 Sadlers Builder and Contractor, now part of Blyth and Wright. Pratt. Sadler and Harness Maker. 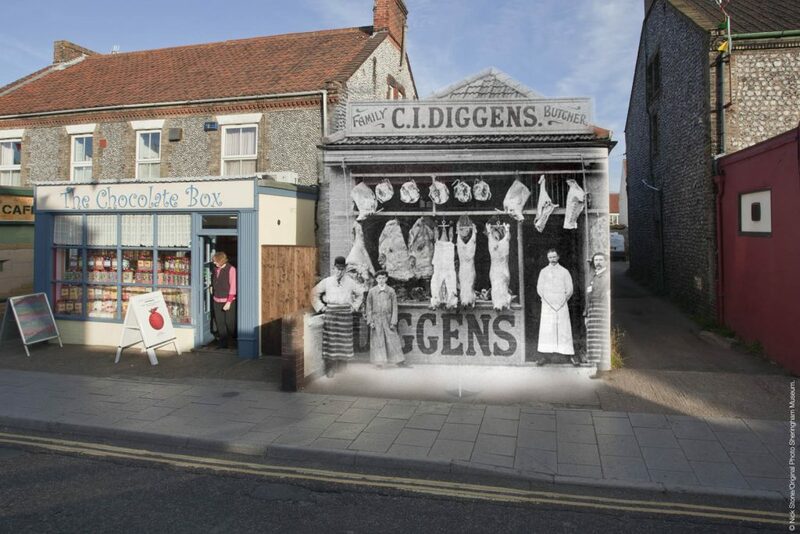 Station Road, now Norfolk Dry Cleaners and Launderers. Fred K Lincoln. Grocer and Fruiterer. 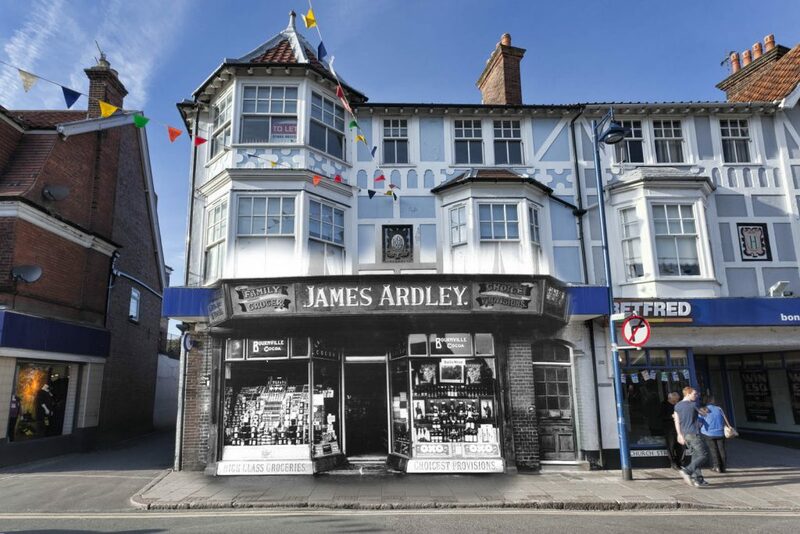 Now a betting shop… Church Street, High Street, Sheringham. James Ardley. Grocer and Provisions. 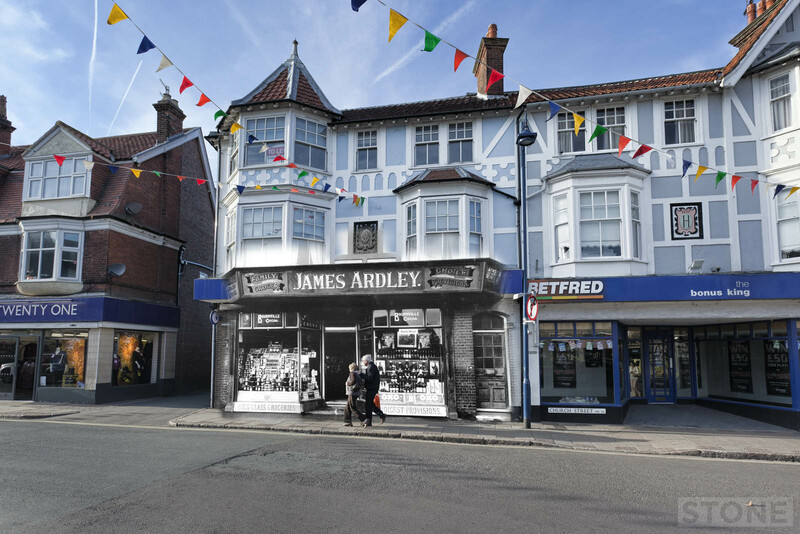 Now a betting shop… Church Street, High Street, Sheringham. 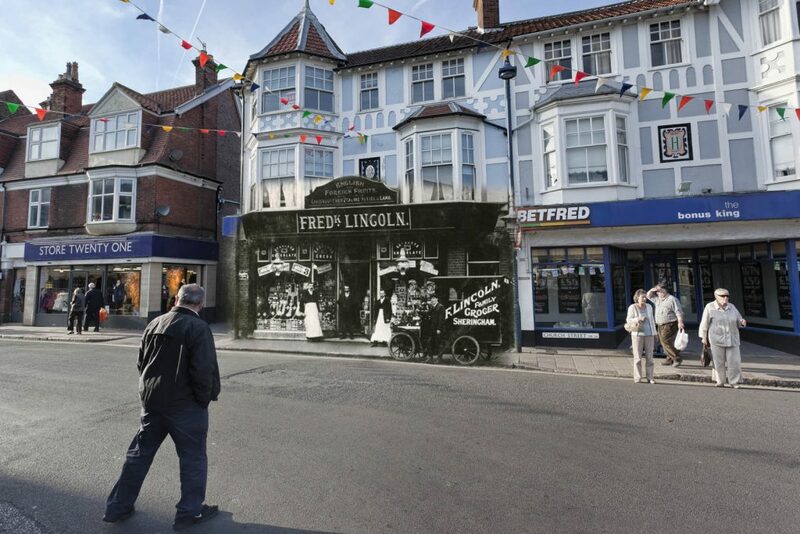 Same location as Fred Lincoln. 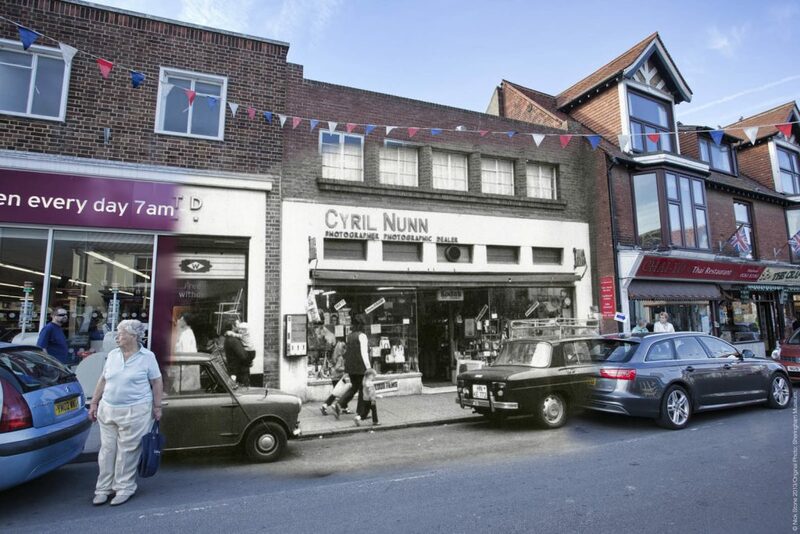 Cyril Nunn, photographer. Now Shoe Zone. 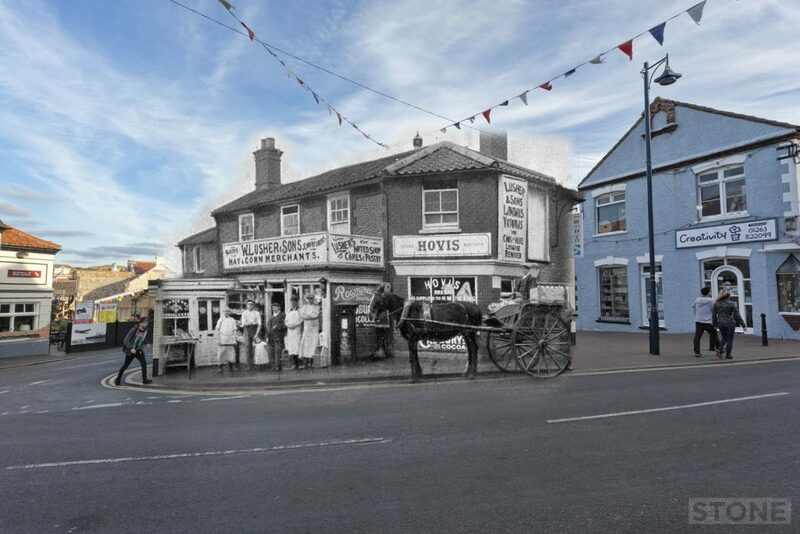 I have been searching for a photo of the Picture House Cafe, Sheringham. Do you know of one? My father owned the cafe for a number of years.